Destiny Quest exploded onto the scene in February 2011. It was a behemoth of a book and I was blown away by the huge land that I could explore, the simple game system which allowed you to customise and improve your hero and the epic story. 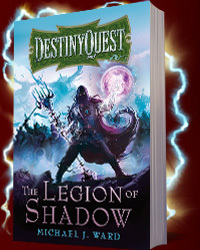 Now there is a new edition of Destiny Quest: Legion of Shadow being released with an awesome new cover even more great stuff to explore. If that's not enough, Destiny Quest: Heart of Fire is set to be released later in the year to provide us with another huge adventure. 1. What was the first gamebook you read (that wasn't your own)? 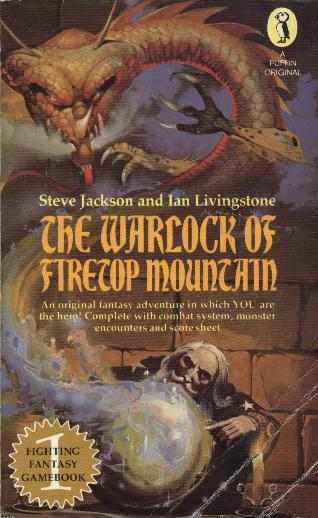 It was The Warlock of Firetop Mountain by Ian Livingstone and Steve Jackson. I’m old enough to remember the first edition coming out – and for a ten-year-old it felt like an exciting breath of fresh air. You have to remember, at the time interactive entertainment was in its infancy. I think we had games like Pac Man and Centipede to keep us entertained. So, this was a very exciting development – a story that was also a game, allowing you to fight battles and make decisions for your character. Of course, it was essentially a distilled version of Dungeons & Dragons, which was enjoying enormous popularity at the time – but for children of my age and younger, Warlock and its follow-up titles provided a taste of these games and a route into the hobby. 2. What is your favourite gamebook? It was a really well-planned and well-written adventure. The encounters were clever (loved the Mirror Demon and the many-eyed Bloodbeast!) and you could never second-guess what was around the next corner. There was a cool twist with one of your competitors, which I won’t spoil – that forces you to make a very difficult choice. 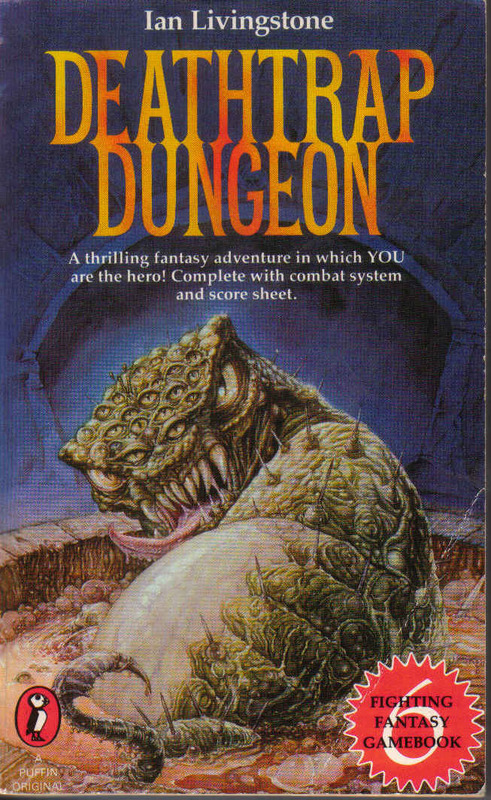 Although it is essentially a huge dungeon crawl, Deathtrap Dungeon puts a very unique and exciting spin on it. 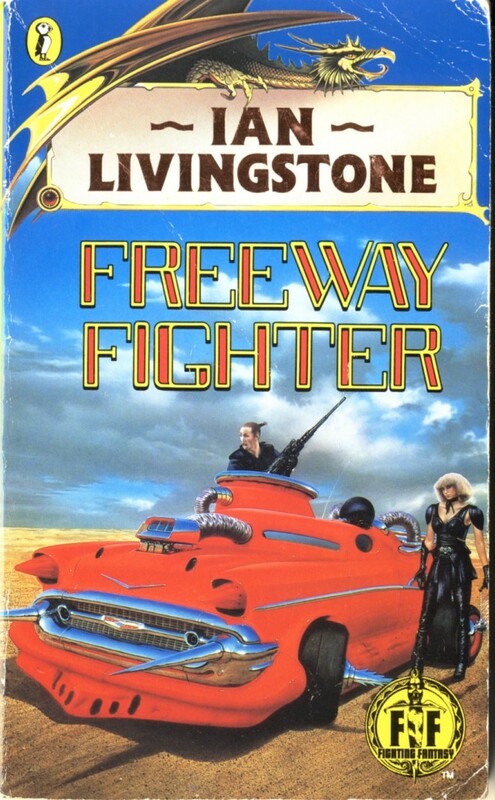 Ian Livingstone at his best – and one I highly recommend! 3. What gamebooks/interactive fiction would you recommend to a newcomer to the genre? For older gamers, I would probably recommend some of the later FF titles written by Jonathan Green, which have more sophisticated and interesting storylines. 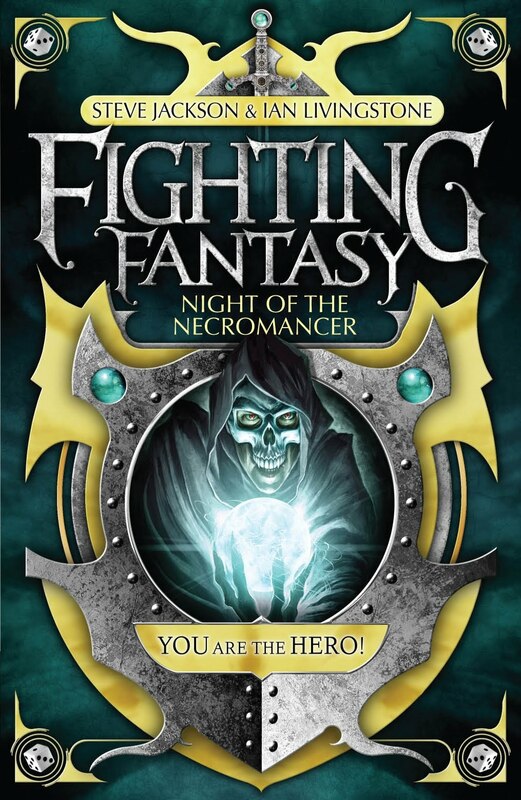 I’m thinking here of Night of the Necromancer (where you play a vengeful ghost! ), Spellbreaker and Howl of the Werewolf. There’s also Joe Dever’s Lone Wolf saga, which I believe has recently been re-released. These tell a more epic tale, and also allow your character to advance throughout the series, granting you more powerful stats and abilities. 4. Summarise what a gamebook is to a newcomer in 100 characters or fewer. You play the hero (or anti-hero). You fight their battles and make their choices. Simples. 5. Why are gamebooks great compared to games or books? I think gamebooks occupy an exciting niche, by immersing you in a good story, whilst also offering you elements that allow you to feel in control of the action. Gamebooks, like any other novel, allow your imagination to picture the scenes, the characters, the action – and that can make the experience more vivid and exciting than having it fed to you by sitting down and playing a computer game, for example. 6. Where did you come up with your ideas for gamebook stories? Its hard to pinpoint where ideas come from – they are often an amalgamation of all my experiences, from playing computer games to reading novels, to watching movies. I’m often playing, reading or watching something and think to myself ‘they should have done it this way, they could have done that, the ending was lame, that twist was obvious…’. Similarly, you experience content that makes you go ‘wow’ and inspires you likewise. I have my ‘scribble pad’ and I am constantly noting down disparate ideas, which sometimes evolve into something bigger – or filed away for the future. I never discard anything, hence shelves full of scribble pads! 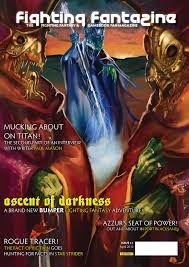 I suppose, when it comes to DestinyQuest, I first and foremost imagine them as ‘movies’ and then as ‘computer games’… and so I try and think about the over-arching storyline first, and then the battles and encounters that tie in with that. 7. Where did you come up with your ideas for gamebook game systems? When it comes to any good game system, you have to go back to that timeworn mantra, easy to learn, difficult to master. I wanted to create something simple, that younger players could grasp easily and get playing with the minimum of fuss. But, on top of that, I wanted to add a further layer of complexity to satisfy an older/more experienced audience. My game system essentially takes FF as a starting point (rolling to hit, applying damage) and then adds in additional elements, common to wargaming and rpgs. So, you still roll to hit, but you also have damage variables (based on your ‘strength’ and an opponent’s armour). I also introduced special abilities, which are more computer game inspired, which allow you to dodge blows or apply poisons and other effects. In essence, I wanted to update the old FF system with something more current and relevant to today’s gamers. I’m pleased with the end result. I always wanted battles in DestinyQuest to tell their own story – to give you that sense that you aren’t just ‘rolling dice’ in a robotic fashion, but that your character is actually reacting to a situation, and you are calling on all your different powers to outwit an often more powerful foe. The map and quest system was borne out of my love for MMO games, such as Warcraft. I wanted to give the player the sense of a free-roaming experience, where they feel part of an environment and have the freedom to choose where their hero goes next. Tied to that is the colour-coded quest system that I think makes sense to most computer gamers – providing you with a set of levelled challenges that you can progress through. It’s a system that gives you plenty of reward. You feel like you are becoming more powerful as you advance, gaining more epic loot along the way! 8. When it comes to writing a gamebook, what's the most important thing that you do? Know where you are headed. It sounds obvious, but I think – when telling any story – you need to know your start point and your end point, and the key moments in between. With a book like DestinyQuest, which has multiple acts and quests, all branching in different directions, it’s really important that I remain anchored to that main storyline – or things can get messy! 9. What have you got coming up in terms of your gamebook projects? I have just completed the second book in the DQ series, The Heart of Fire. Over the coming months I will be working closely with AdventureCow on the gamebook app of the first book, The Legion of Shadow. 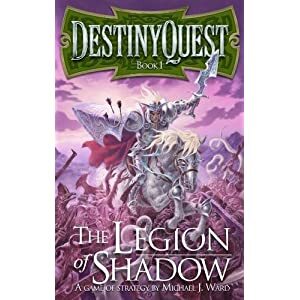 I will also be doing signings and other events to promote the re-release of the special edition of The Legion of Shadow (which features an extra quest and the online content). From there, it’s really a waiting game to see how well the first two books do. If they are successful, and I’m praying that they are (! ), then there will be lots more DQ books on the horizon. 10. Do you have any other sites besides your www.destiny-quest.com /your Twitter feed? My main site is the official DestinyQuest one - www.destiny-quest.com It has forums, news updates and game information. It also has useful downloads, including printable herosheets and bonus content. 11. What do you think the future of gamebooks is? I may sound like an old ‘stick-in-the-mud’ but I am very passionate about print. I like to hold and smell a book, have a nice cover, flick through the pages, feel like I own something. When it comes to books, and probably gamebooks more so, I can imagine a greater shift towards digital platforms over the coming years. This is already happening with iPhone/Android apps and eReaders. 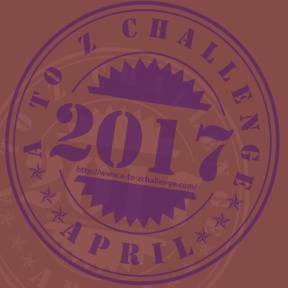 I suppose, for gamebooks, it is inevitable – their format lends itself to an interactive medium. On the positive side, it means a very rosy future for gamebooks – on the downside, I just hope that print doesn’t pay the price. You’ll miss it when it’s gone! You can buy Destiny Quest from Amazon. 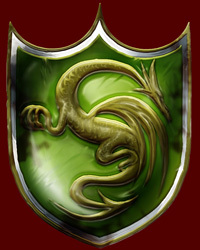 For more news and updates on Destiny Quest, go to the website and Twitter feed. Whatever happened to the Destiny Quest iPhone app? I know you've reviewed the book, but do you intend to review the Destiny Quest ebook? I'm considering buying it for Kobo on the iPhone, but am a bit worried about how well coded it is; the preview/trial copy does all sorts of crazy things when I click on the links and doesn't appear to work properly.